January 28, 2019 — LOS ANGELES–(BUSINESS WIRE)–Investor’s Business Daily (IBD), a leading financial news and research organization, today announced the results of its seventh annual investor survey of the Best Online Brokers. Notably, Charles Schwab and Fidelity maintained top ratings for the sixth consecutive year, with Charles Schwab edging just ahead of Fidelity in Overall Customer Experience after Fidelity’s four-year reign at the top. 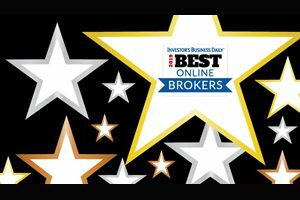 Interactive Brokers also ranked as one of the Best Online Brokers overall. As in past years, the rankings were determined through a two-phase process that assessed both investor priorities and their brokerage’s ability to satisfy them. During Phase I, survey respondents were queried regarding which attributes of an online broker were most and least important to them. In the next phase, they were asked to rate their primary broker on the 14 most important criteria — including the new Range of Products Available and Website Security attributes, which replaced Trade Ideas and Investment & Retirement Planning Tools. Weights were assigned to each attribute to compute an Overall Customer Experience Index for each broker. The top three overall and in each category are recognized as Best Online Brokers.